VANCOUVER , Oct. 31, 2018 /CNW/ - Namaste Technologies Inc. ("Namaste" or the "Company") (TSXV:N.V), (M5BQ.F), (NXTTF) is pleased to provide an update for investors on its strategy to launch medical cannabis sales within the UK market. Namaste operates a global e-commerce platform which sells cannabis ancillary products in over 20 countries around the globe. One of the Company's largest consumer databases lies in the UK, with over 500,000 customers. With the impending roll-out of medical cannabis in the UK market, Namaste is well positioned to leverage its database along with its telemedicine application and potential acquisition of Access Fulfilment Ltd. ("Access Fulfilment"") to enter directly into medical cannabis sales in the UK. The Company's strategy includes medical cannabis importation, telemedicine and distribution. Subject to compliance with UK federal regulations, the Company will be launching a UK version of its innovative telemedicine application, NamasteMD, which has been designed to provide patient consolations for the purposes of acquiring medical cannabis prescriptions, and is available in the Apple Store, on Android and on desktop at NamasteMD.com. The Company plans on submitting NamasteMD to the UK App Store and for Android in November 2018 . The Company is active in securing strategic relationships with clinics and specialist healthcare practitioners that will provide resources to facilitate patient onboarding in the most effective manner possible. Further to the Company's September 13 th, 2018 news release, Namaste has entered into a binding terms sheet (the "Terms Sheet"), to acquire all of the issued and outstanding shares of UK-based Access Fulfilment Ltd. ("Access Fulfilment"). Access Fulfillment operates a 30,000 square-foot distribution facility in the UK and holds a Wholesale Distribution Authorization (Human) License issued by the Medicines and Healthcare Products Regulatory Agency ("MHRA") which allows Access Fulfillment to distribute pharmaceutical products throughout the UK. The Company intends on closing of the acquisition and is undergoing due diligence and are actively engaged with Access Fulfilment to supply an amendment to their license to allow for distribution of medical cannabis products. The Company is pleased to have launched sales through its wholly-owned subsidiary, Cannmart Inc. ("Cannmart"), which is the first medical cannabis "sales-only" license in Canada which has been issued to a non-cultivator. The Company has secured supply channels for Cannmart and has also acquired future supply through strategic agreements and investments offering a Right of First Refusal ("ROFR") on inventory through several cultivators that will guarantee supply to Cannmart now and in the future. The Company has begun the process of its application for Good Manufacturing Practice ("GMP") certification for Cannmart, and as such, will intend on exporting cannabis from the Canadian market to the UK directly. Namaste is actively pursuing new supply channels in Canada and abroad which will support the Company's anticipated demand for medical cannabis in the UK and in other emerging markets like Australia , where the Company maintains large databases of cannabis consumers. Sean Dollinger , President and CEO of Namaste comments: "We are very excited about the potential for Namaste in the UK market. The UK was our first market and is one where we maintain deep roots within the community through our hardware and accessory business. Everyonedoesit.co.uk ("EDIT UK") is one of the oldest online shops which sells a wide range of vaporizers and accessories and has been established in the UK for many years. Between EDIT UK and NamasteVapes.co.uk, we hold over 500,000 customers in our collective database. We have also maintained a long-standing relationship with Access Fulfilment who already distribute our vaporizers and accessories to the UK and EU markets, but now as we progress on closing of the Terms Sheet and potential acquisition, we see great value for the Company's future in the UK market. We will stay focused on securing strategic relationships with cultivators in the UK and abroad as we look to leverage our technology and consumer bases to expand cannabis sales within our existing global markets." 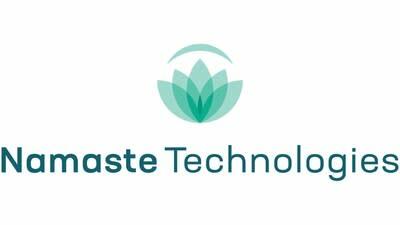 Namaste Technologies is Your Everything Cannabis Store™. Namaste operates the largest global cannabis e-commerce platform with over 30 websites in 20+ countries under various brands. Namaste's product offering through its subsidiaries includes vaporizers, glassware, accessories, CBD products, and the company will soon be selling medical cannabis in the Canadian market. This press release contains forward-looking information based on current expectations. These statements should not be read as guarantees of future performance or results. Such statements involve known and unknown risks, uncertainties and other factors that may cause actual results, performance or achievements to be materially different from those implied by such statements. Although such statements are based on management's reasonable assumptions. The Company assumes no responsibility to update or revise forward-looking information to reflect new events or circumstances unless required by law. Although the Company believes that the expectations and assumptions on which the forward-looking statements are based are reasonable, undue reliance should not be placed on the forward-looking statements because the Company can give no assurance that they will prove to be correct. Since forward-looking statements address future events and conditions, by their very nature they involve inherent risks and uncertainties. These statements speak only as of the date of this press release. Actual results could differ materially from those currently anticipated due to a number of factors and risks including various risk factors discussed in the Company's disclosure documents which can be found under the Company's profile on www.sedar.com.